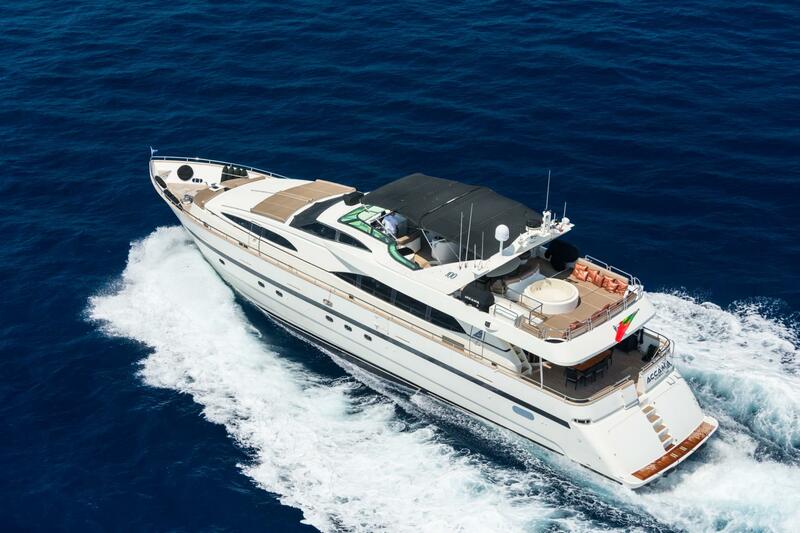 This Azimut 30m is the ideal charter yacht for families, large groups and event yacht charter. 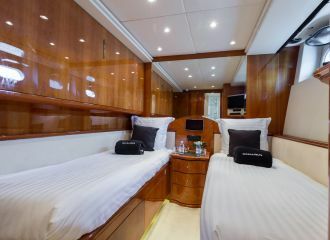 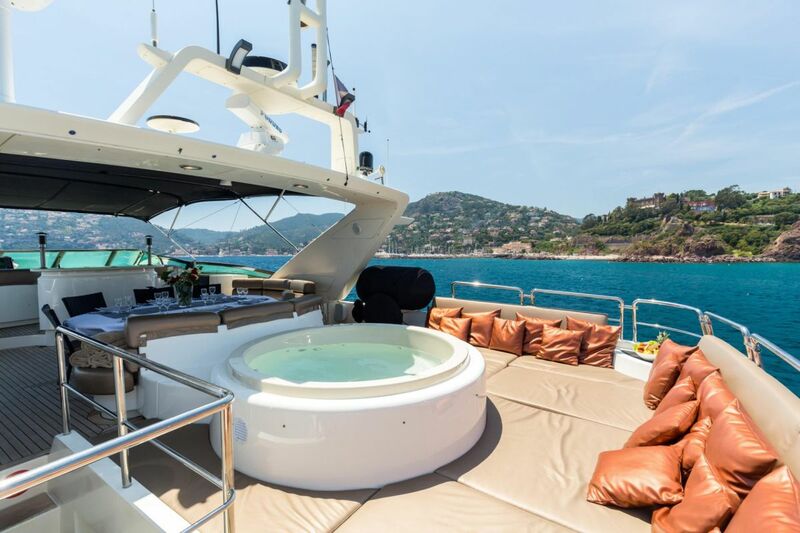 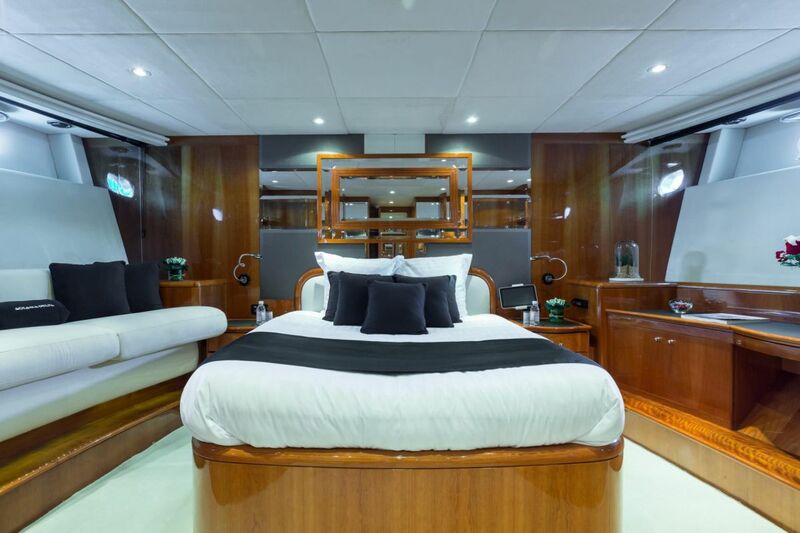 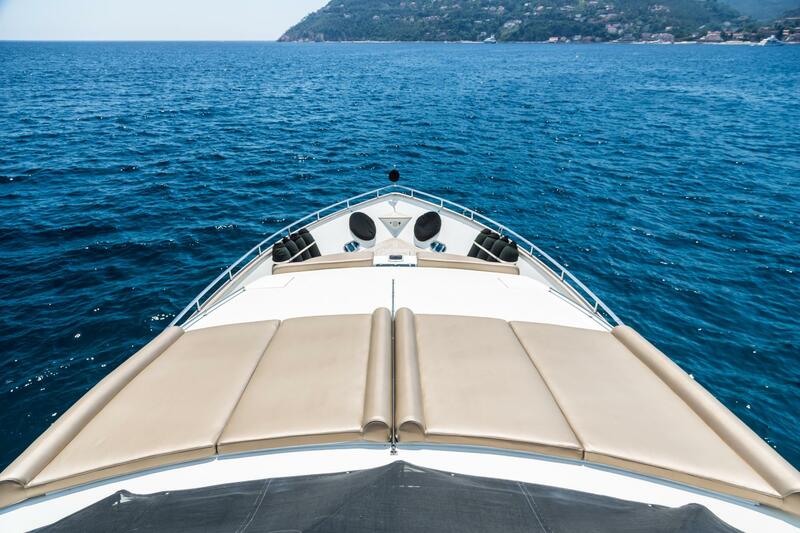 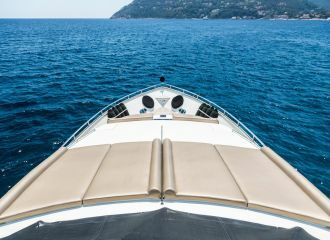 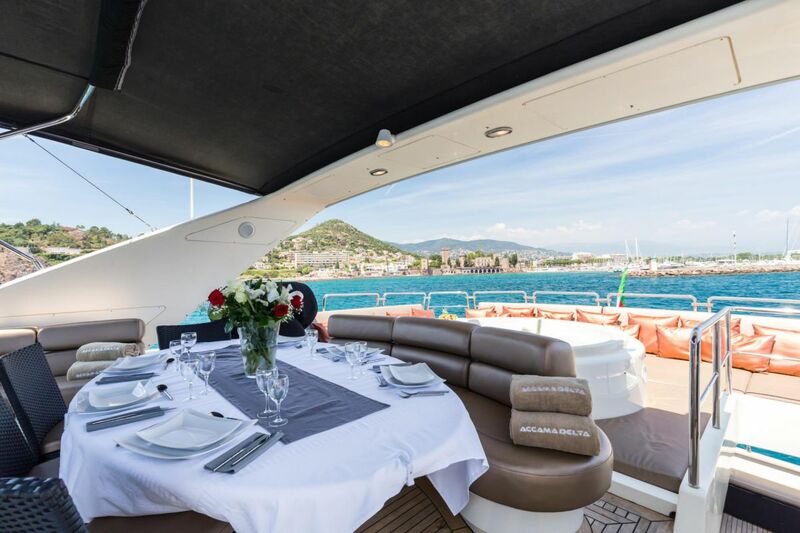 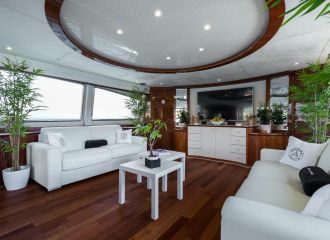 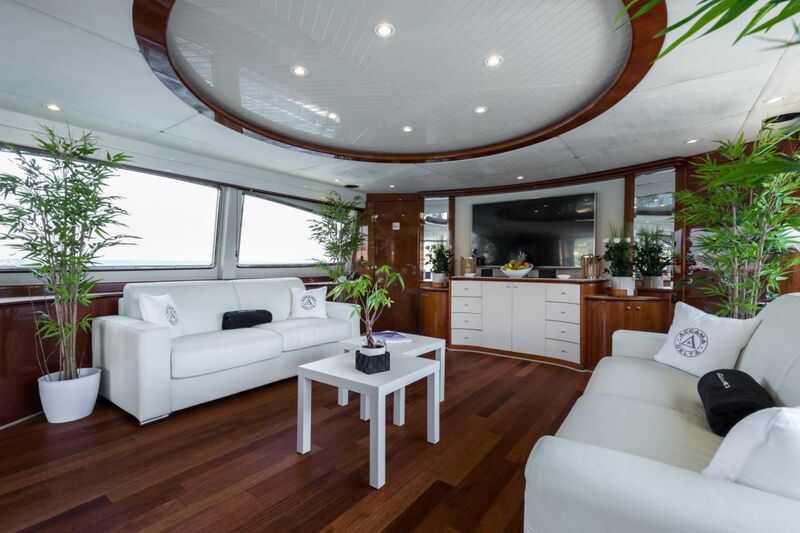 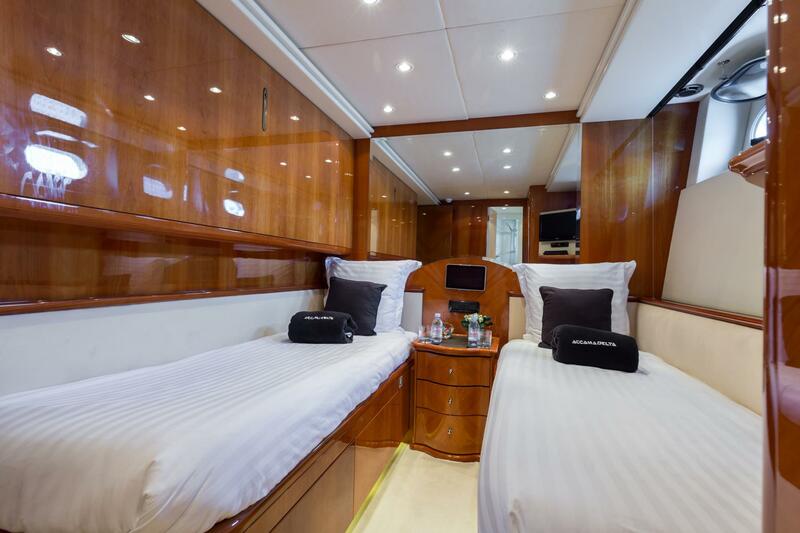 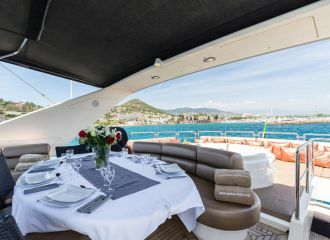 The yacht has an incredible deck space and the flybridge is the ideal entertainment area with vas seating and sunbathing areas as well as a jacuzzi. 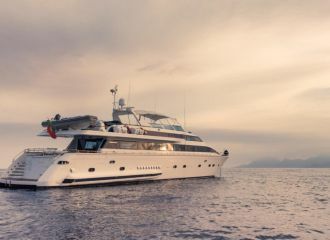 This Azimut 30m yacht features accommodation for up to 8 guests in 4 cabins: 2 double and 2 twin, all with en-suite facilities. 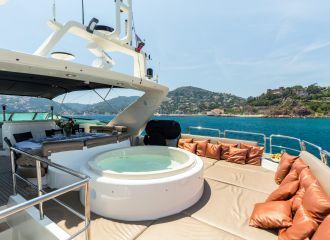 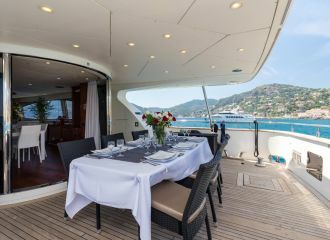 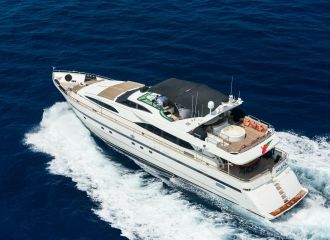 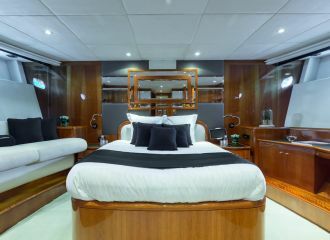 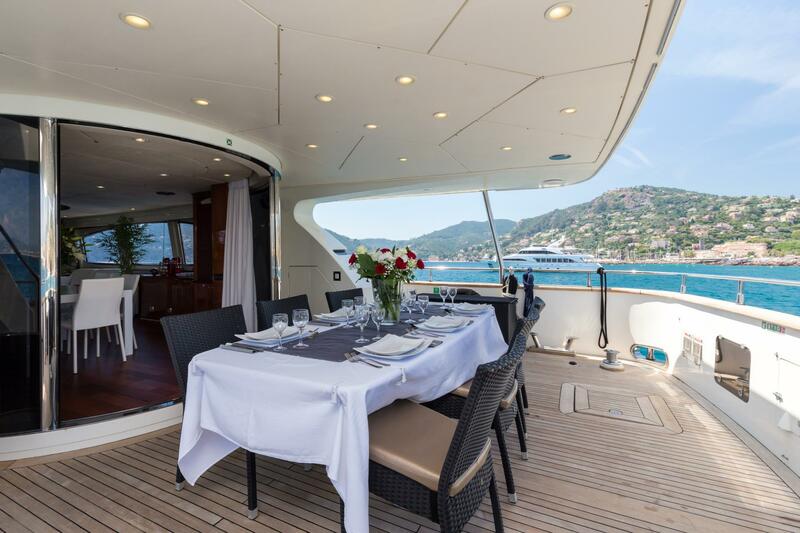 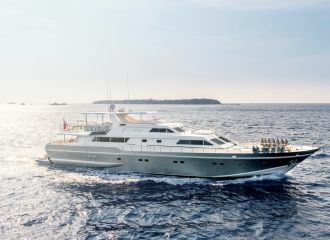 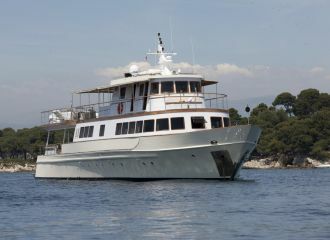 The perfect charter yacht to cruise around Cannes, St Tropez and Monaco during your south of France yacht charter.